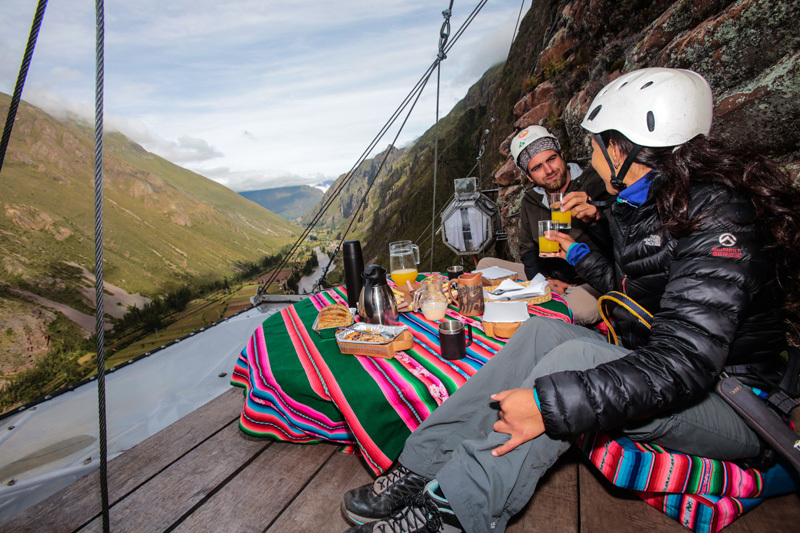 Adventure tourism company Natura Vive, have created the Skylodge Adventure Suites, a group of three hanging transparent suites on the side of a mountain in the Sacred Valley of Cuzco, Peru. Getting to your room is a bit of a challenge. You have two choices, either climb up the side of the mountain or hike a trail with ziplines. Read more: Contemporist.com a community that celebrates contemporary culture, focused on architecture, design, art and travel.